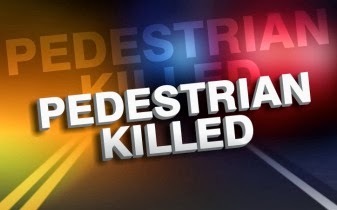 On August 1, 2016 at 10:20 p.m., Galloway Township Police responded to the White Horse Pike and Sixth Avenue for a pedestrian motor vehicle accident. According to witnesses and evidence, Aubrey M. Servis, 27, of Little Egg Harbor was walking across the cross walk at the intersection of the White Horse Pike and Sixth Ave.
During this time, an older model, silver, sport utililty vehicle (possibly a 1990s Chevy Tahoe or Suburban) was traveling west in the left lane and ran a red light. This resulted in Servis being struck in the crosswalk and vaulted forward. Servis was pronounced dead at the scene. According to witnesses, the sport utility vehicle fled the area. Suspect vehicle should have front driver side damage. Anyone with additional information please contact Officer Gorneau (GTPD) at (609)652-3705 Ext 095 or Detective Hutton (ACPO) at (609)909-7873. Galloway Twp. Ambulance, New Jersey State Police, New Jersey Department of Transportation, AtlantiCare paramedics, and Atlantic County Prosecutors Office assisted in the accident.